When shouId I apply for the PMPor CAPM Certification with PMI ? If you already have 35 hours of formal project management training (Contact Hours), you should submit your application as soon as possible. 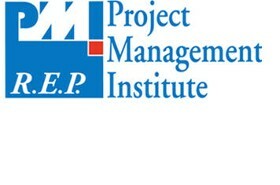 You can access the online application at http://www.pmi.org/Certification.aspx. Once you set up an ID, you can incrementally enter the information and submit it when it's complete. If you plan on using the 35 Contact Hours from the boot camp to meet the requirement it's no problem. You should get all of the application information entered as soon as possible. It will be saved under your user ID and that way you'll be all set to hit the "Submit" button after the last class. How long after the boot camp should I plan to sit for the exam? Ideally, you should schedule your exam two to four weeks following the last session. In addition to all of the knowledge you'll gain from participating in the Boot Camp, you will be building a lot of momentum for getting this done. Two to four weeks gives you time to complete the last of your studies, take the recommended practice exams, and be ready to pass. Waiting longer than that can cause some people to lose that momentum and some of what they learned in the session. What is PM Enterprises' first time pass rate for the PMP or CAPM exam? PMI publishes no information regarding the percentage of people who pass either exam, much less information by individual education providers. Despite the fact that dozens of exam preparation providers claim specific pass rates, it is impossible for them to know which of their students eventually took the exam or how they fared. PM Enterprises is committed to each and every student's success and the vast majority of participants do pass on the first try. Where do I take the PMP or CAPM exam? The exams are administered are Prometric Testing Centers and there is one or more in every metropolitan area. After your application is approved, you can schedule a time at www.prometric.com. Depending on your flexibility, you can usually get a slot within a couple of weeks of scheduling. Do I need to join PMI to earn the PMP or CAPM credential? Technically you do not however you will probably want to. The cost differential to sit for either exam as a non-member is greater than the cost of joining PMI (they're not so dumb...). In addition, as a member you can download an electronic version of The Guide to the Project Management Body of Knowledge (PMBOK) for free and you will definitely want to have that reference for your studies. What is the format of the PMP or CAPM exams and how much time to do I have to complete them? Both exams consist solely of multiple choice questions with 4 answer options. The PMP contains 200 questions and must be completed within 4 hours. The CAPM contains 150 questions and must be completed within 3 hours. What is the passing score for the PMP or CAPM exams? PMP - Of the 200 questions, only 175 are scored (nope, you don't know which ones are scored and which aren't). In 2009, 106 correct of the 175 scored questions resulted in a passing score. CAPM - Of the 150 questions, only 135 are scored. In 2009, 88 correct of the 135 scored questions resulted in a passing score. When/how will I know if I passed the exam? When you are finished answering all the questions, or your alloted time expires, the exam is immediately scored and the screen will indicate an Examination Result of Pass or Fail.